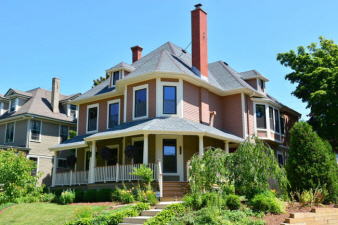 Amazing, amazing, amazing East Side Milwaukee home. Natural sunlight streaming in makes the beautiful wood floors shine. Family room and living room boast natural firelplaces. Upstairs find four bedrooms and three full baths. Half bath on main. Surround sound throughout. An immaculate kitchen features stainless appliances and hammered copper sink. Pictures do not do this home justice. This is an in-person MUST SEE!